What happened last year? Geesh, sometimes I'm not sure what happened yesterday. But through the magic of Blogger, I know what my top posts are for the year. 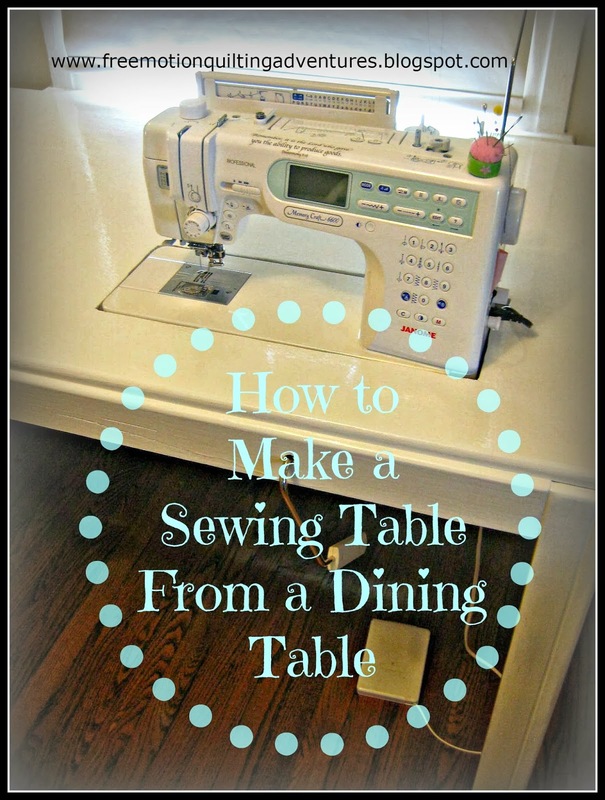 Then my How to Make a Sewing Machine Table post got a whole lot of eyes on it. And my simple trick for Keeping Rulers from Slipping was pretty popular too. 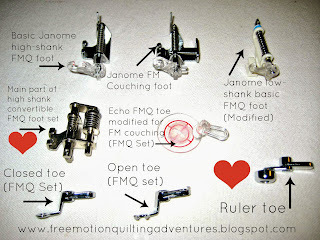 And the last of the super popular posts, though there were many others that got great traffic, was my post on New Rulers for Free Motion Quilting, a review of the Fine Line Rulers that I like so much. So if you haven't checked them out, you might want to! 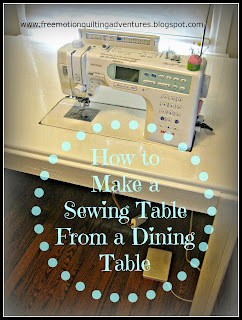 And do a hard working quilting blogger a favor and share, subscribe, pin, whatever and I will be very grateful. I did a little free motion quilting practice yesterday on a quilt sandwich left over from last week's class. I went ahead and video'd some of it. Here's the first one with a feathered flower. This feather can be used small for a filler or made much larger and used as an all-over design. I noticed yesterday that I got a bunch of subscribers to my Youtube channel all of a sudden. I have absolutely no idea why. Maybe somebody shared it on a site? It could be dumb luck, but I'd love to know if there's somebody I could thank! Just a quick video to say Merry Christmas and to thank you all for reading, commenting, and encouraging me as I share my free motion quilting adventures. A special thank you to my latest class of free motion quilting students! These gals were a complete joy to work with and we laughed a lot! Now off I go to do some Christmas baking and present wrapping. Thank you all so much and I hope you all have a joyous and merry Christmas. I took another video while working on this customer's quilt. I was doing some ruler work in the sashing to make a diamond pattern. Turned out pretty good. Not as perfect as I'd like, but I'm a perfectionist. As usual, I had a lot of fun quilting it, once I decided what I wanted to do with it. Sometimes I do a little too much "Sit and Stare" time. In process above, the full quilt below. It's a fairly small quilt. I played off the holly and swirls design in the blocks and made a holly, swirl, and feather thing up the sides. It was a bit too much, but once I started, it was either keep going or rip out a LOT of stitches. I kept going. But at the top and bottom I came up with a swag design that I love! As I said in the video above, I marked off segments with small marks along the sashing roughly 3 inches apart. and then used the ruler to stitch the diamonds. And the back looks pretty spectacular if I do say so myself. Way better than this photo shows. So now to move to the next project! And get ready for Christmas, and.....whew. There's a lot on my To Do list! We have a snug little cottage full of kids and quilty goodness. That is to say, it's small and full! So we choose to have a small tree. With a Playmobil Nativity. I did mention kids, right? Look at tiny baby Jesus! Too funny. The manger is resting on last year's free motion quilted table topper featuring lights made with my kids' thumb prints. On the wall is a wall hanging I created and quilted 2 or 3 years ago. There's even pearle cotton 'hay' in the manger bed! And a customer quilt is getting pin basted to get done asap! A Christmas quilt of course. Note to Self: Buy more basting pins! Last year, my daughter helped me make this garland. I cut various sized circles with my Sizzix die cutter and she sewed them into one long strand herself. Of course, she is the one to hang it up on the staircase this year. Christmas cats, anyone? Cute embroidery, but some puckers from a snafu with the stabilizer, so I'll be trying to work some quilting magic. I'm linking late with Connie at Free Motion by the River for Linky Tuesday. Come check it out. I hope you all had a lovely Thanksgiving weekend if you are in the US and if not, I hope you have still had a great weekend. I'm pretty sure I've put on a few pounds, but I'll work them off soon. I feel like I should write a fabulously interesting and tip filled post but I just don't know what to write. I ought to shoot a video for my Youtube followers, but what to quilt for the video? It is totally amazing, but I've got 136 subscribers om my youtube channel! For my silly little videos? Really? I've got quite a few customer projects that need to be done before or shortly after Christmas and I've also got a few other irons in the fire here at home. It's all very, very good, but a little overwhelming. Plus taking care of my kiddos and the hubby has an out of town project for work. I did quilt more on a customer purse today and that was fun. Now to assemble the thing. Not so much fun. And I have a pattern drawn up for another special customer quilt for a friend of a friend. Below is the preliminary drawing. Think of a two color, silhouette scheme. Speaking of patterns, I saw that Craftsy has a pattern market place. 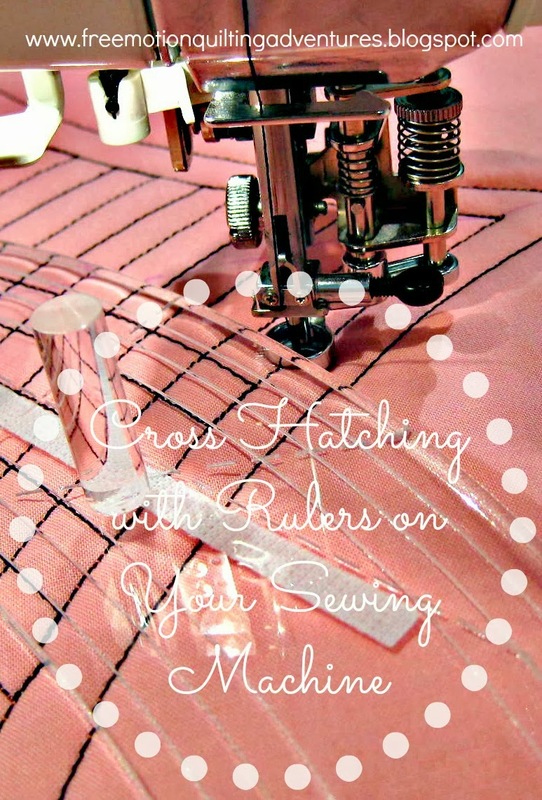 I've had a few readers ask if I had a pattern available for a few things I have done. Do you think I should offer a few of my designs on there? I was thinking a simplified version of Poured Out 2 and a new version of the wedding wholecloth which I did finish. Yesterday, my very creative daughter decorated her room. (Craft supplies are her love language. Now to convince her that neatness is part of mine.) When I saw the yarn taped all over her wall I nearly blew my top. But then I took a second look and saw that she had written with the yarn, "Jesus Lives". What could I say? I tucked her in and gave her a kiss. Christmas is very important to us and it's nice to know that the message that it's not all about presents has gotten through. So in a spirit of thanks-giving, just after Thanksgiving, leave me a comment with a question you'd like answered and I will do my best to give you an answer. Please don't leave me listening to the proverbial crickets chirping!